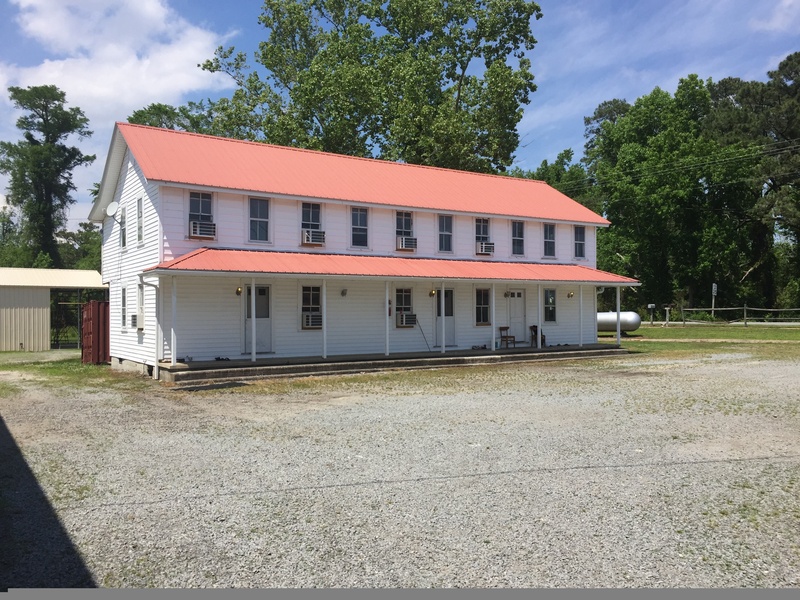 The Mattamuskeet Outpost is a motel and dining facility acquired by Dare to Hyde in order to provide comfortable accommodations and meals to our hunters and guests while they are with us. 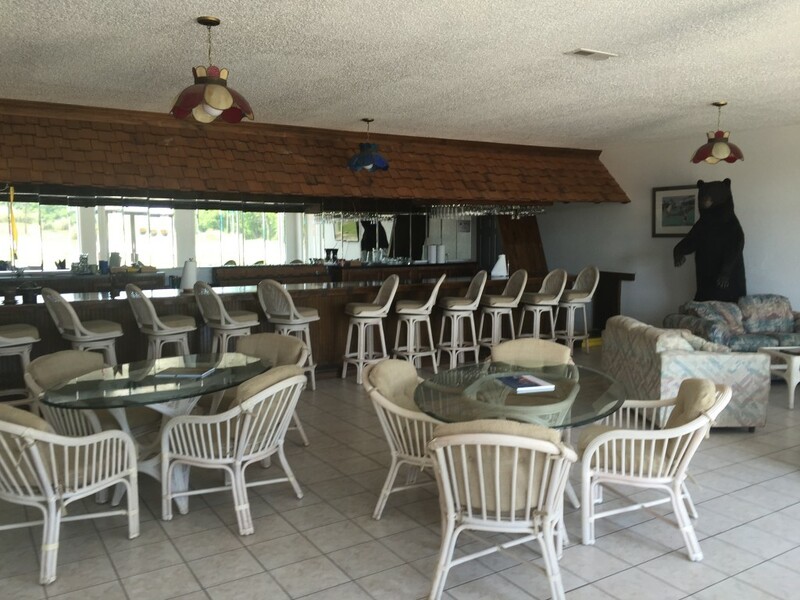 The Outpost has been completely remodeled and consists of 20 hotel style rooms, a dining hall, pro shop, a bar & lounge area with cable television, and a commercial style kitchen used to prepare meals for our guests. 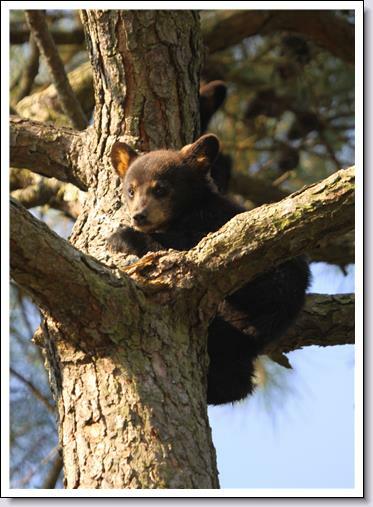 We also provide lodging to many of our guides on site in the quarters located behind the main building. In addition, there is a skinning shed located at the back of the Outpost in order to allow Dare to Hyde to assist in the cleaning and processing of any game taken while hunting with us. We also offer space for weddings, conventions, or any type of special event. 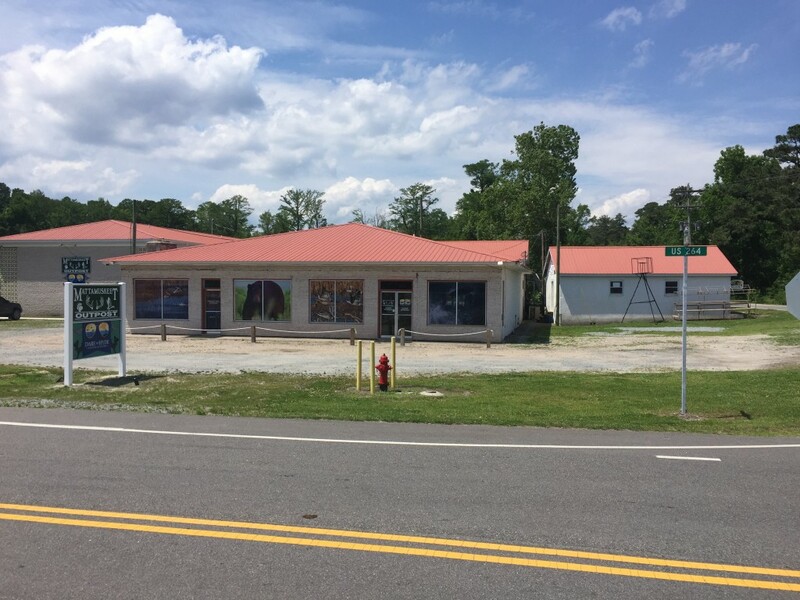 The Mattamuskeet Outpost is located on Highway 264 between Swanquarter and Engelhard, North Carolina. 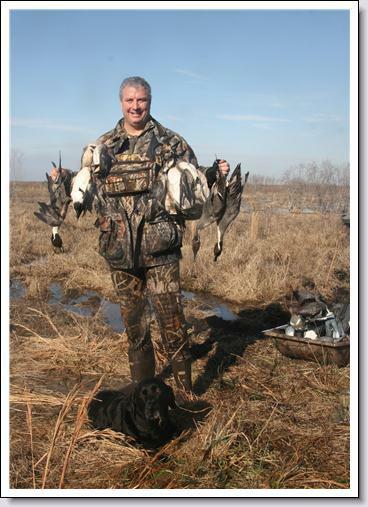 We are located centrally to the farms where we conduct our hunts and tours. 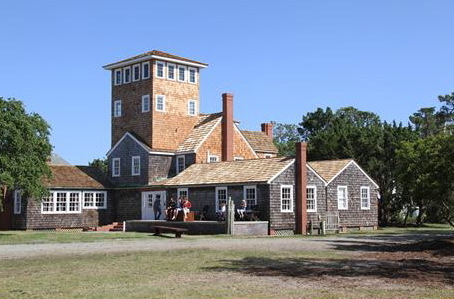 The Outpost sits on Outfall canal less than a mile from the historic Mattamuskeet Lodge and Lake Mattamuskeet. 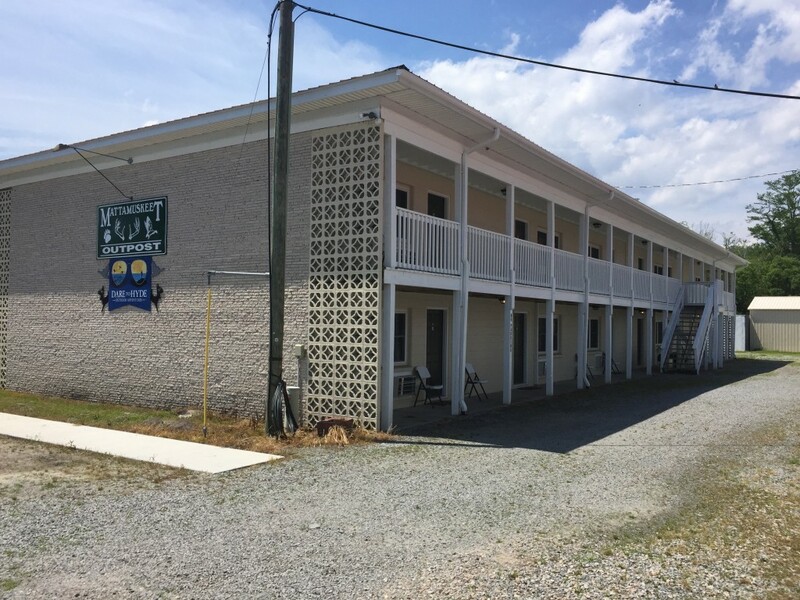 The Outpost offers a bar and lounge area located inside of the main building with complimentary Wi-Fi Internet connection and cable television. The lounge area offers our guests the ability to relax in a comfortable setting while they are here participating in various activities. 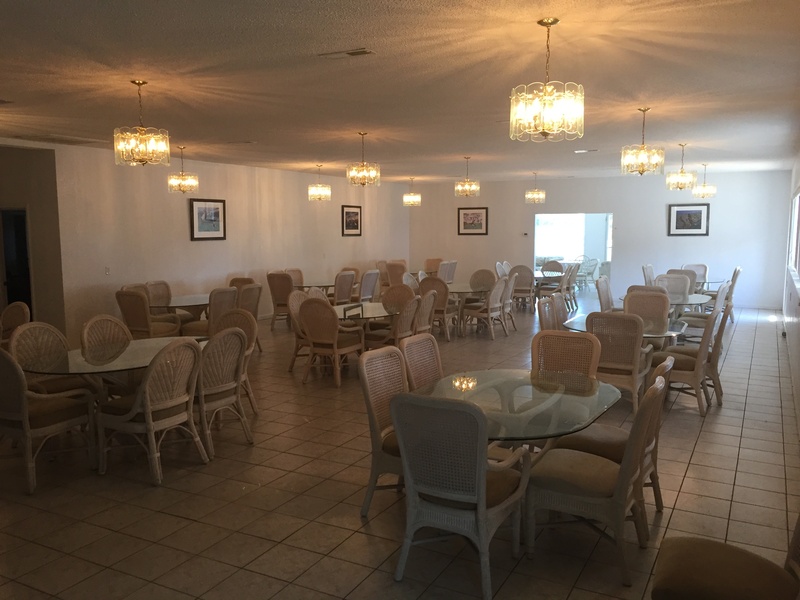 We are equipped with a full service dining facility capable of seating 75 to 100 guests for hunts, meetings, weddings, and other special events. Our staff is more than willing to accomodate the individual needs and requirements of our clients. The hotel building at the Mattamuskeet Outpost is adjacent to our main building, allowing quick and easy access to our dining/lounge facilities and allowing hunters & guests to reach staff or guides easily before hunts, tours, etc. 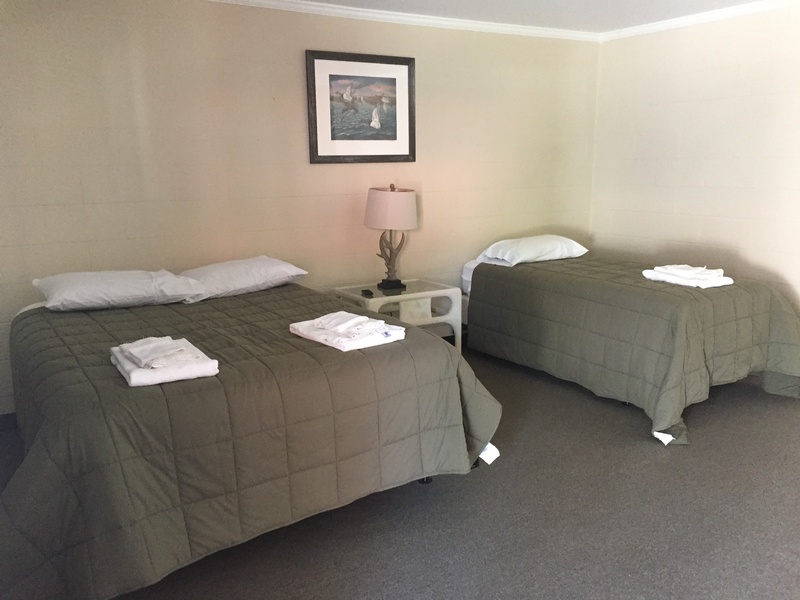 Our hotel rooms come with two to three beds, a private bathroom, television, and daily cleaning and linen service. 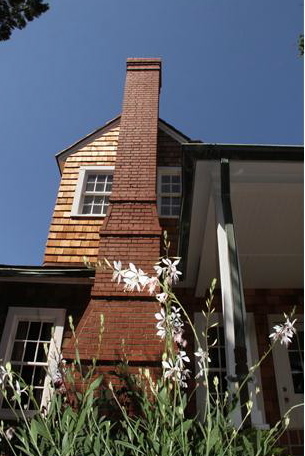 The Guides quarters, capable of housing up to twelve, allow our staff to stay on site in order to provide a high level of service and to ensure that we available to assist you throughout your stay. 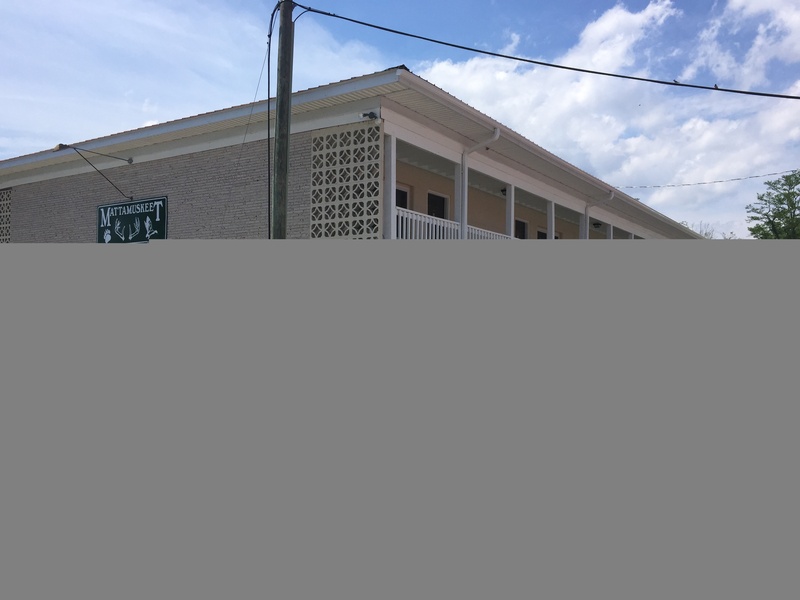 This building was part of the original Mattamuskeet Lodge and was recently moved to the Mattamuskeet Outpost.